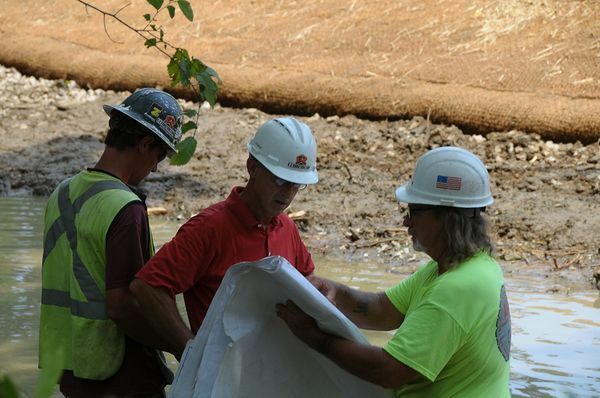 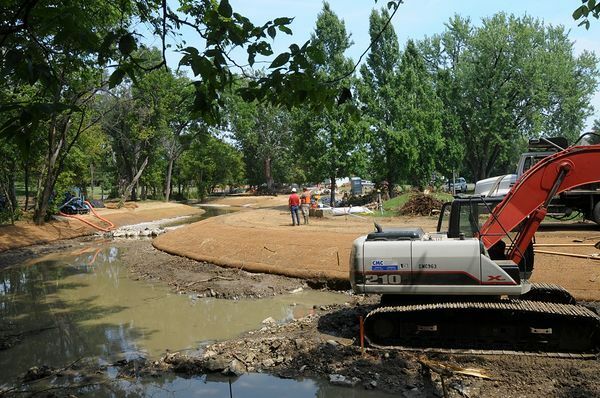 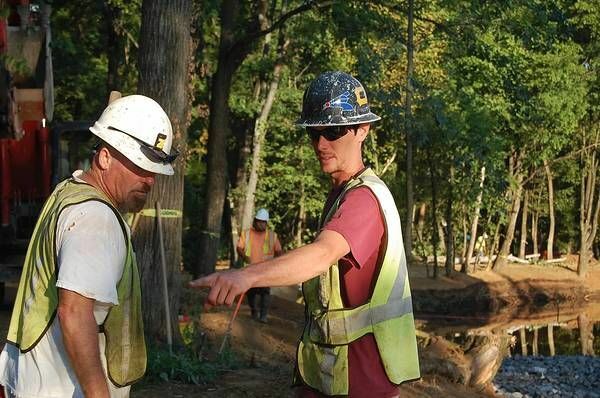 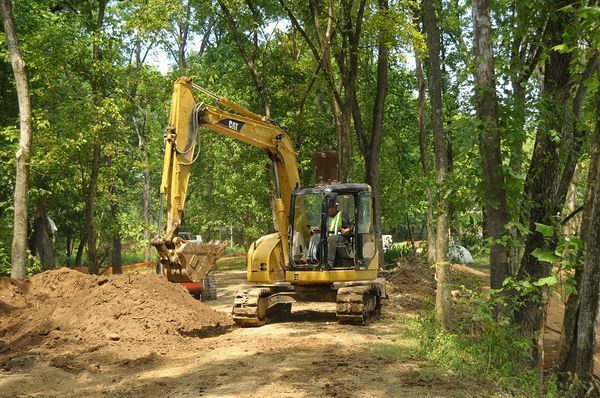 E-Z Construction contracted with the City of St. Matthews for the realignment of Beargrass Creek in the City’s Brown Park. 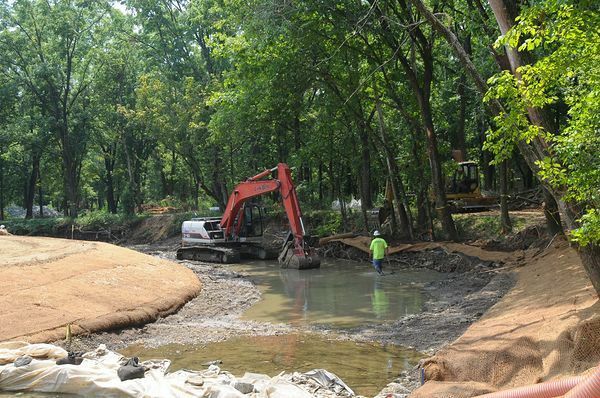 Beargrass Creek had suffered years’ of severe erosion, siltation and loss of vegetation due to extreme runoff upstream. 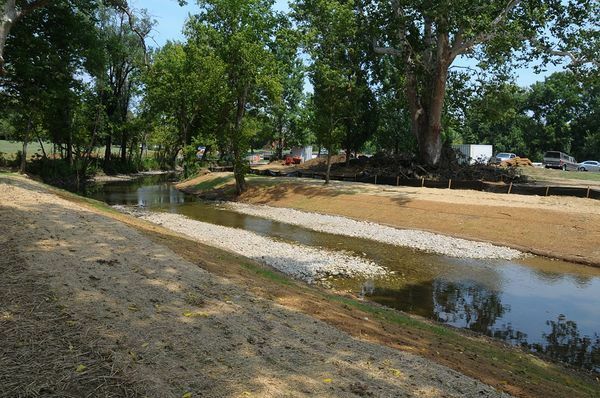 E-Z was successful in the installation of log vane structures, j hooks, riffles, brush layering, and bank protection to ensure better habitat for aquatic species. 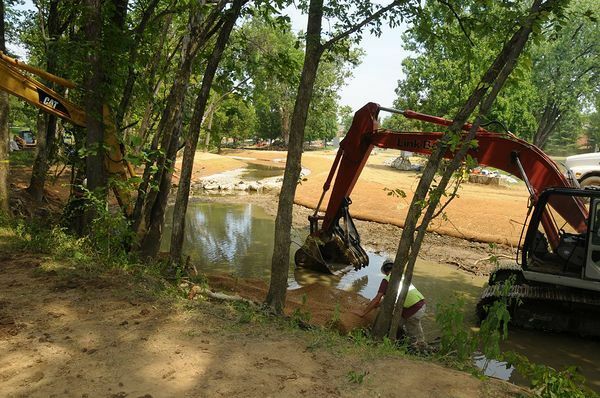 Stabilizing the flow line of the creek and stabilizing the creek banks were critical elements. 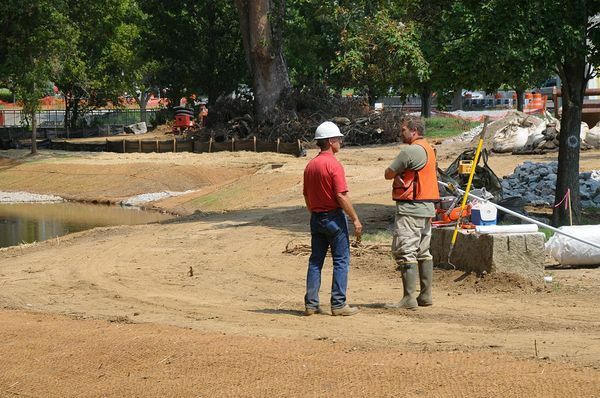 E-Z constructed the original Brown Park improvements, installing the limestone art structures, meandering sidewalks, parking lot, and playground improvements in 1996.